Congregation Shaare Emeth is a compassionate and inclusive community that makes Judaism relevant, meaningful and joyful. We strive to be a diverse and welcoming Congregation, and we accept the responsibility of celebrating with and caring for one another in times of joy and need. From preschool through adulthood, we bring alive the tenets, values, texts and traditions of Judaism. Through advocacy and volunteerism, we work together to fulfill the Jewish mandate of Tikkun Olam, repairing our world, by alleviating poverty and hunger, fighting injustice, caring for human beings in times of need, protecting the environment and bringing peace. We honor the holiness that surrounds us at every moment of our lives, through meaningful rituals and ceremonies, moments of worship and prayer, and joyful Shabbat and Jewish holiday celebrations. We recognize and value our place as a part of K’lal Yisrael, the People of Israel, and our connection to Eretz Yisrael, the Land of Israel, both historical and modern. We work to support and advocate for the Jewish people wherever they may be, and in particular, for the State of Israel. We recognize that we are citizens of a larger religious and secular community, and we accept and embrace our communal and civic responsibility though our words and deeds. We recognize our need to provide, utilize and carefully manage the resources necessary to fulfill each of the other commitments of our Mission, while taking the measured financial risks necessary for our future. At Congregation Shaare Emeth, members and guests feel a strong sense of community; are intellectually and spiritually engaged; are inspired, stimulated and challenged by the Reform Jewish tradition; and are building a strong foundation for the future. 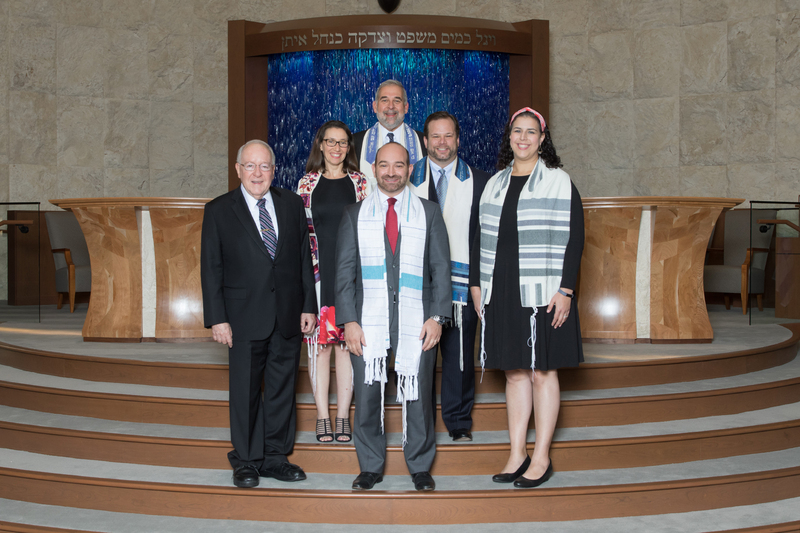 Congregation Shaare Emeth encourages the participation of interfaith couples and families as well as people of all backgrounds, sexual orientations and gender identities. We welcome children and adults with disabilities and their families. We strive to ensure our programs and facilities are accessible to all and to accommodate any special needs. If you have questions or concerns regarding access or participation please call the Temple office at 314-569-0010.